The JC Raulston Arboretum in Raleigh is a wonderful place to spend a day. We recently had visitors from the UK who are gardeners, so we took them for a visit. One of my favorite parts of the gardens is The White Garden. It has a plethora of white annuals, perennials and bulbs growing. There is a white gazebo and a walkway with a white chandelier. It is very peaceful and has a mystical feel to it. Touring Botanical Gardens is a favorite thing to do when we are on vacation. If you enjoy touring Botanical gardens, be sure to put Beech Creek Botanical Garden and Nature Preserve in Ohio on your list to visit, too. Here are some photos from our day there. 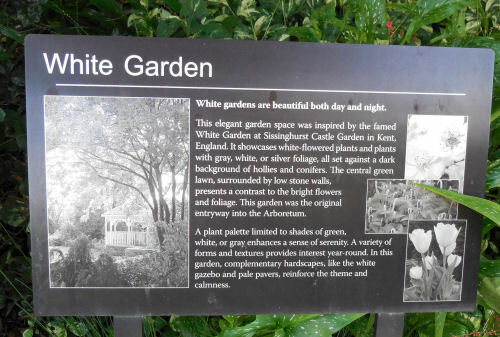 The sign at the entrance to the gardens tells visitors all about this special area devoted to the color white. 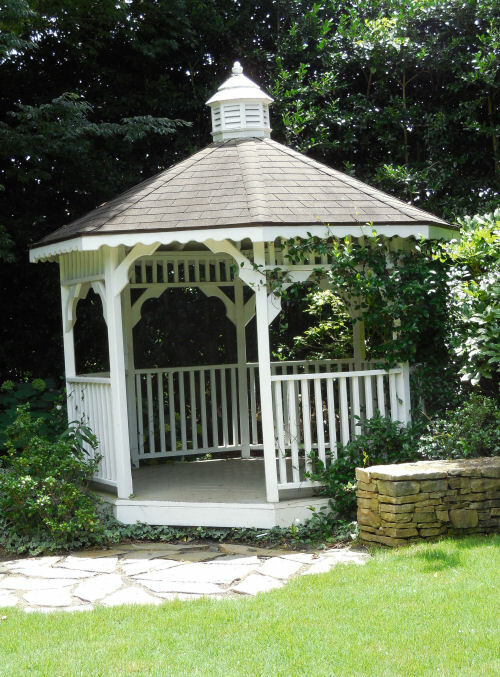 This gazebo graces the entry area of the White gardens. Perfect spot to sit and admire. I would love to have it in my back yard! 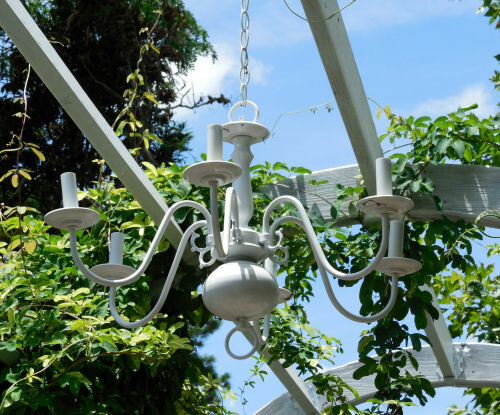 This white chandelier hanging under a pergola of the white gardens adds the perfect touch. 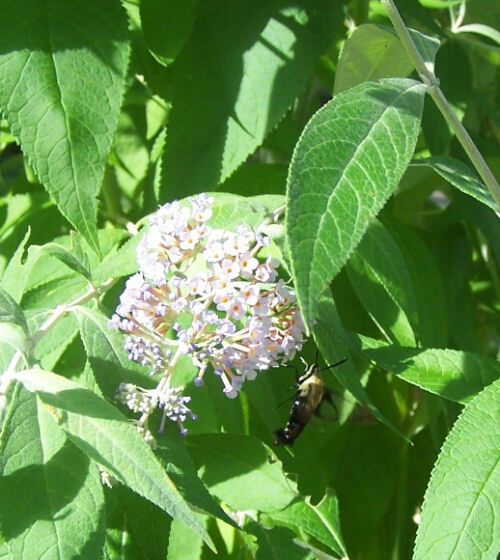 A white butterfly bush attracts hummingbird moths! 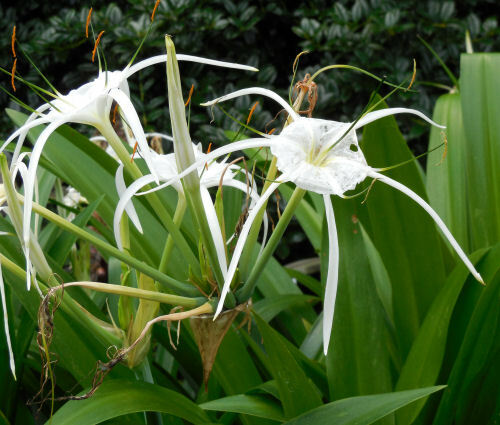 Hymenocallis “Tropical Giant” looks dangerous, doesn’t it? 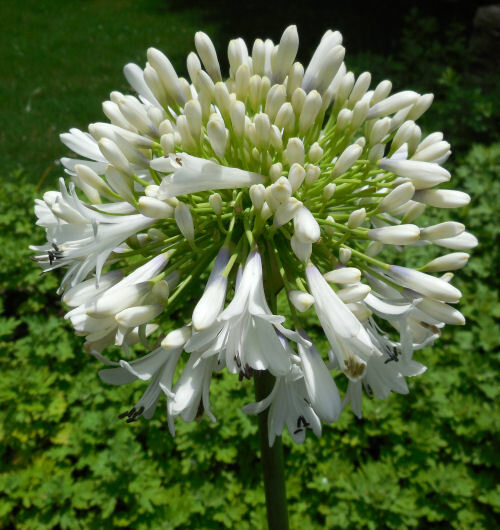 Agapanthus Orientalis looks like a big pom pom. I bet the hummingbirds would love those tubular flower petals! Liriope Musicai Okina is a variety that I have not seen. I love the stark white color. 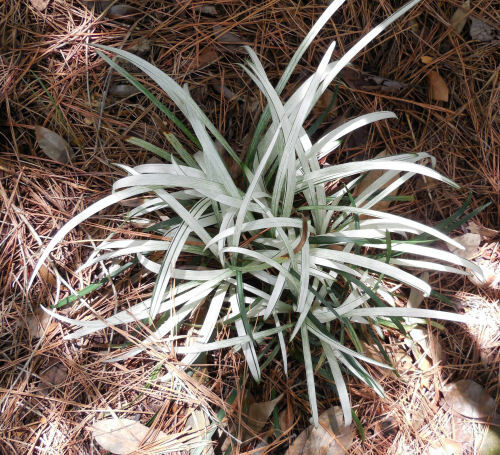 Learn more about growing liriope here, and check out this article for transplanting liriope. 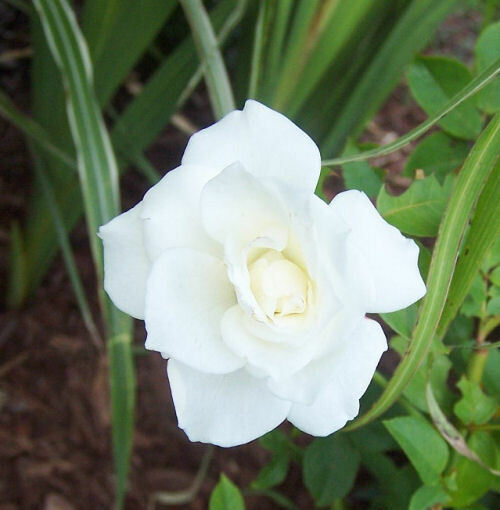 A simple white rose that any bride would love for her bouquet. 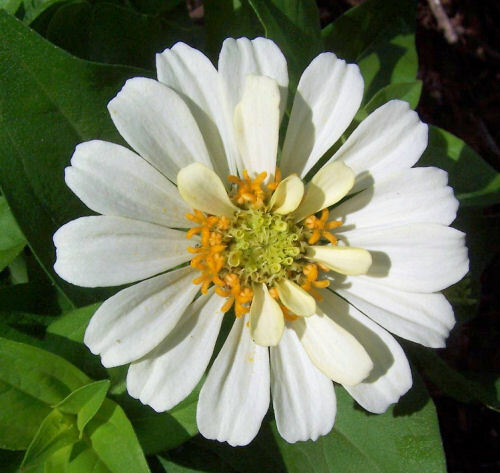 White Zinnia has perfectly symmetrical petals and looks right at home in the white garden. . I will have lots more photos to share from our visit to the arboretum. Check back soon for more details!